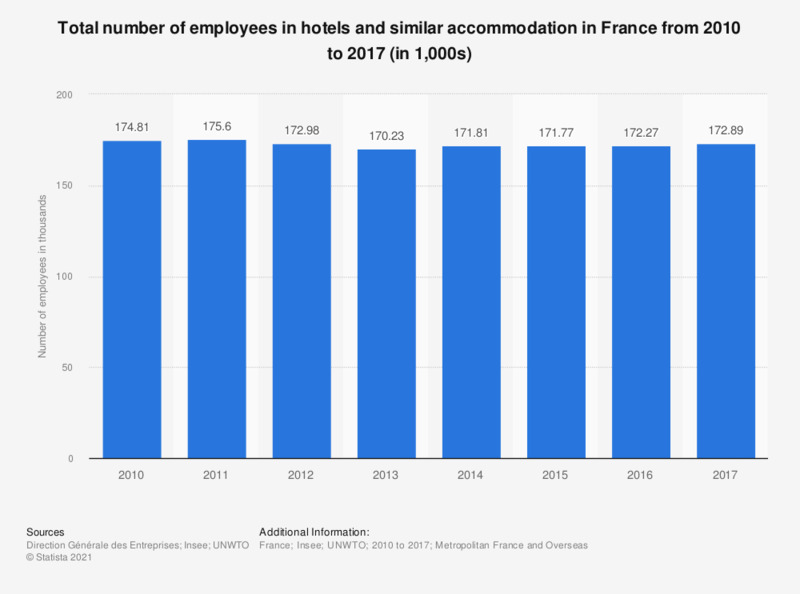 This statistic shows the total number of persons employed in hotels and similar accommodation in France from 2010 to 2015. In 2015, the travel accommodation sector employed a total number of 172,220 people. The source adds the following information: "Figures as of December 31."